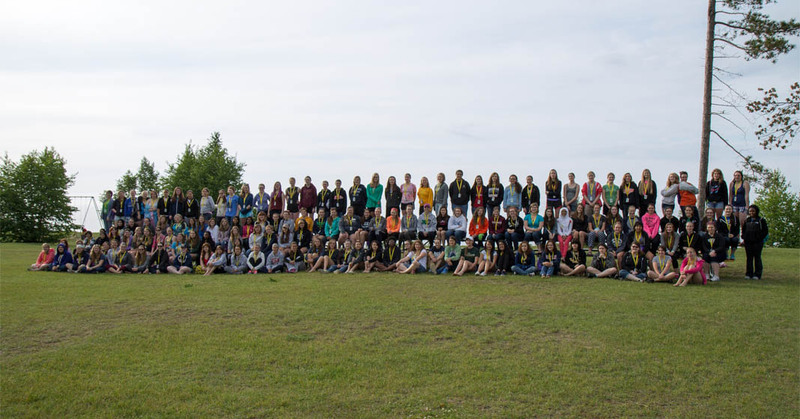 WIE is a week-long summer camp for high-achieving young women in grades 9-11. 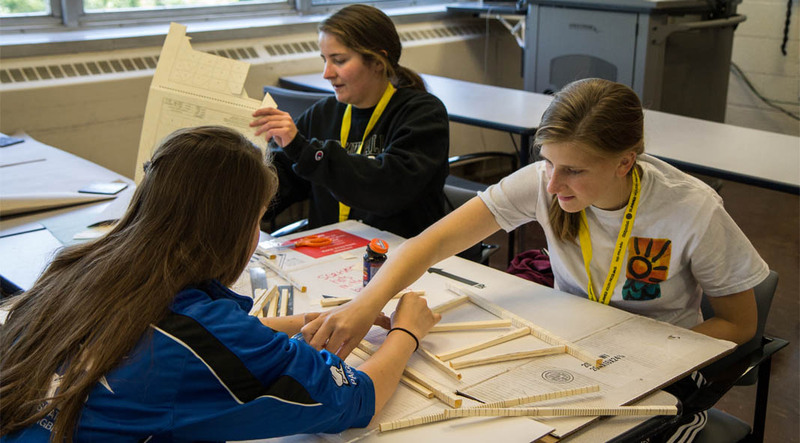 Led by faculty, staff, and graduate students from Michigan Tech, participants spend the week exploring future careers in engineering. They learn about multiple engineering fields, complete group projects, and more - creating a more diverse future workforce. Research shows that women are less likely to become scientists and engineers because of lack of female engineering role models (in 2012 only 14% of engineers were women), misconceptions of what it is like to be an engineer, and having fewer technical problem-solving opportunities through K-12 compared to men. 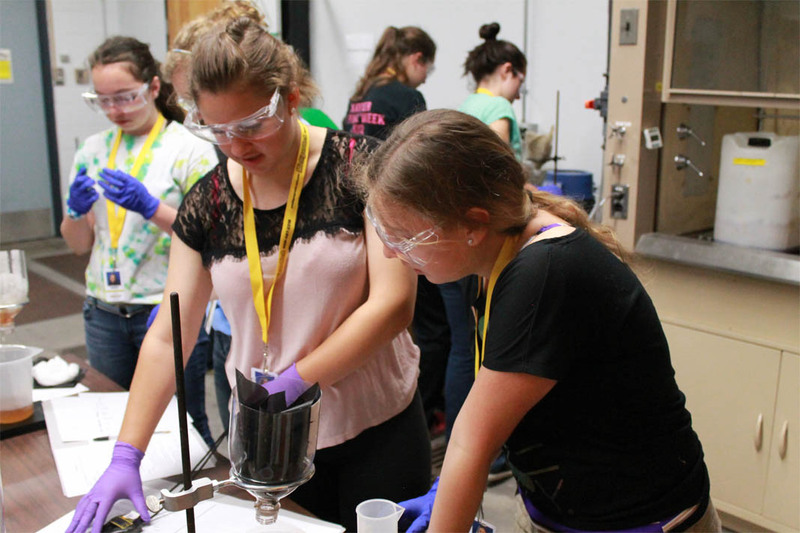 Programs such as Michigan Tech's Women in Engineering can help break down these barriers by connecting 9-11th grade girls with role models in industry and providing them with a week of intensive, hands-on exploration alongside their peers. ASME.org, Mark Crawford (Sept. 2012). 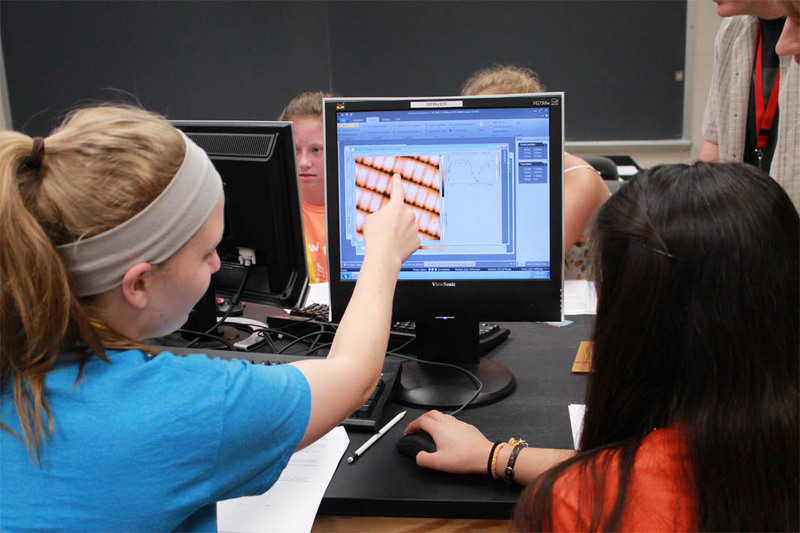 Scholarships provide opportunities for high-achieving young women in grades 9-11 to experience different areas of engineering including: chemical engineering, civil engineering, computer science, electrical & computer engineering, environmental engineering, geological engineering, materials science, and nanotechnology. For many of these students, your donation will create an opportunity to discover their own potential for success in engineering career fields. Explore engineering by constructing a building strong enough to withstand an earthquake, create their own message encryptor (share secrets only your friends can read), and more. Get the inside scoop from female role models working in engineering fields. Work in teams to solve engineering problems and complete engineering projects. Learn about the college application process and tips for succeeding in university engineering programs. Experience college life—stay in a residence hall, explore campus, and meet other young women with similar backgrounds and interests. Enjoy team competitions, a variety show, and tons of outdoor activities in Michigan’s beautiful Keweenaw Peninsula. This program needs your sponsorship to provide opportunities to as many future female engineers as possible. 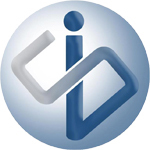 Students applying for WIE are highly competitive and motivated young women. They come from around the country and widely varying backgrounds to ignite their passion and engage in an experience that will shape their lives and benefit society. Liz is a Coordinator at Michigan Tech's Center for Pre-College Outreach. Her outreach focus is on programs to benefit local students: GEAR UP (11th grade college readiness), after-school STEM clubs, and events for local students (including Get WISE and Engineering Olympics). She graduated from Michigan Tech in 2012 with a dual degree in mathematics and social science. As Director of the Center for Pre-College Outreach at Michigan Tech, Cody leads a team of six to deliver three innovative university flagship operatives--Mind Trekkers, Summer Youth Programs, College Access Programs--as well as develop the Pre-College Innovative Outreach Institute. Prior to coming to Michigan Tech in 2008, Cody worked in several academic and athletic outreach programs, including Ann Arbor Public Schools and the United States Olympic Committee. While at Michigan Tech Cody has served on a number of task forces and steering committees, managed the delivery of innovative outreach programming for several hundred-thousand students and families through federal and private-funded sponsors, and created effective partnerships with stakeholders across K-12 schools, industry representatives, and non-profit organizations. Cody holds an MAED in Postsecondary Leadership from Michigan State University, and a BA in Sport Management from the University of Michigan-Ann Arbor. He is a proud father of two girls and spends his free time with his wife and family, traveling, and playing the guitar.